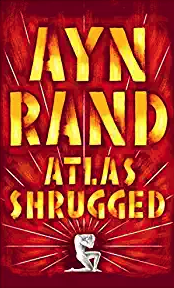 After reading this book you will clearly understand how and why the United States was able to so quickly become the most powerful and innovative country on Earth. You will also gain a new respect for the special people who put this experiment together. This is a great story about the 1936 Olympic rowing crew from the University of Washington. Set in the midst of the Great Depression, it’s about teamwork and overcoming obstacles. 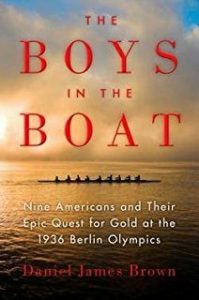 I am not a rower, nor do I have any interest in rowing, but this book is riveting and I couldn’t put it down. 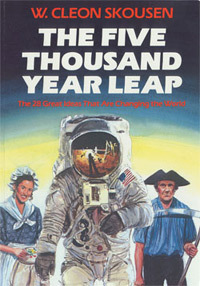 This is a fantastic, four-part series by Homer Hickam Jr., a now-retired NASA engineer. 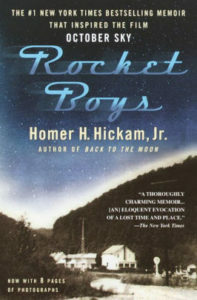 As a young boy growing up in a coal mining town in West Virginia, Hickam saw Sputnik fly overhead. From this moment forward he dropped everything and became a rocket scientist. This is a heartwarming book I find myself revisiting again and again. This is a fascinating and engaging book about the history of language and information. 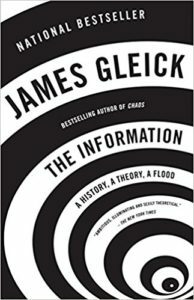 Gleick studies how humans have communicated since the dawn of civilization, from drum circles to the internet. Ultimately, it shows how communication has evolved over thousands of years — and also how little the fundamentals have changed. This is my favorite book. 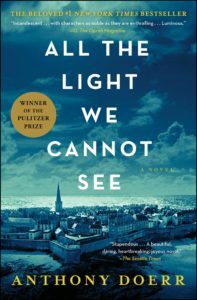 This compelling novel follows the lives of two children growing up during WWII: one is in Nazi Germany and the other is in occupied France. It’s the perfect mix of myth (there’s a “cursed” stone) and history. I recommend it to everyone! 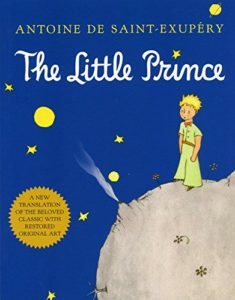 Though it is considered a children’s book, the imaginatively-constructed moral lessons and keen observations about human nature are profound and insightful. “What is essential is invisible to the eye” is one of many famous quotes from this poignant French classic.